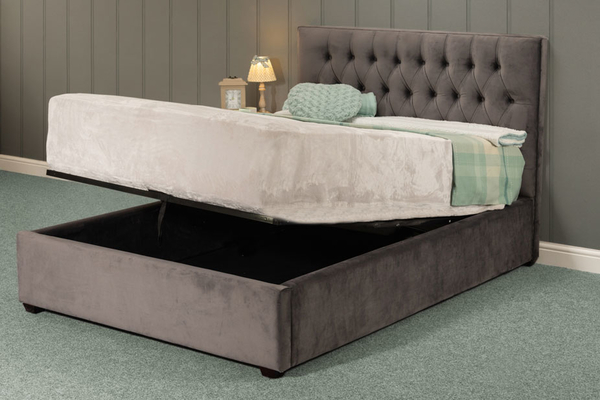 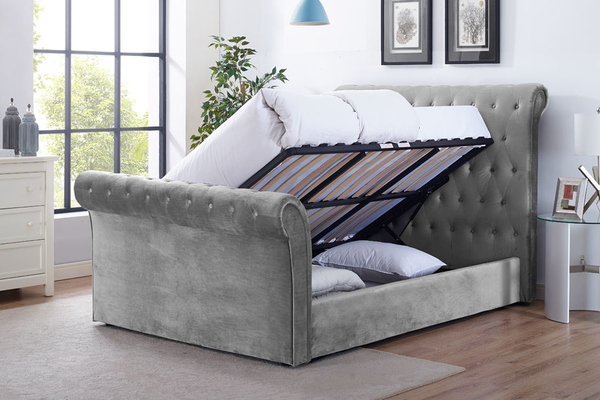 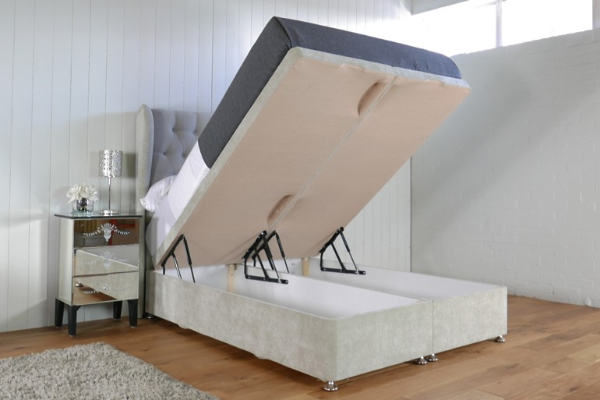 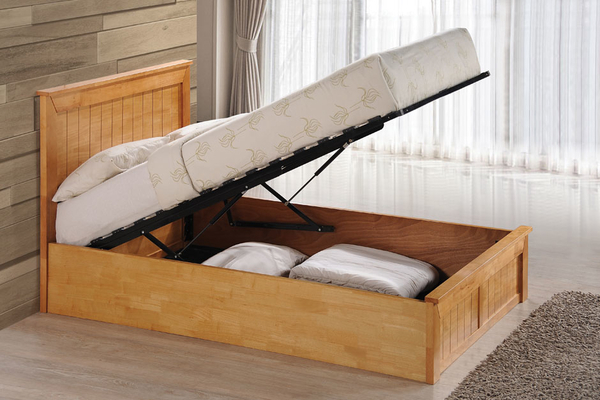 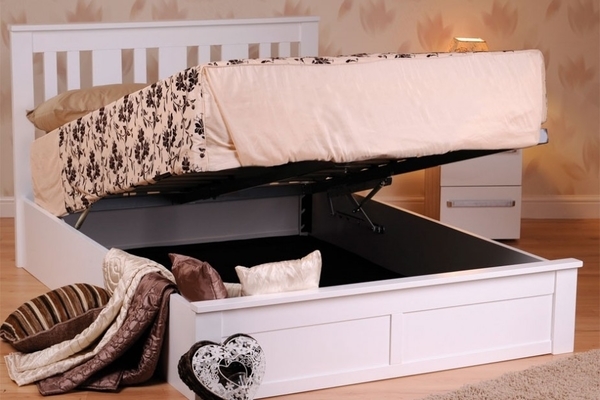 Ottoman beds offer fantastic storage, where the entire base of the bed can be easily lifted up to reveal storage space inside the frame of the bed. 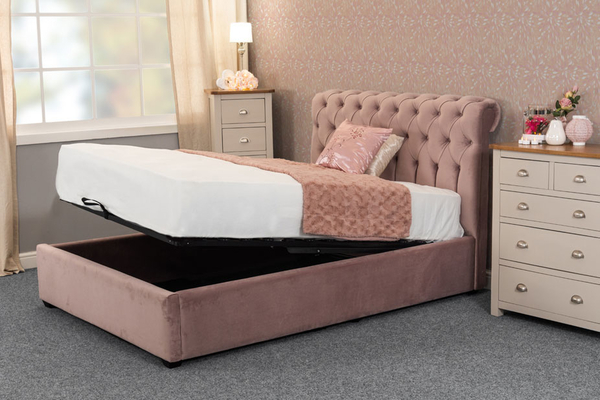 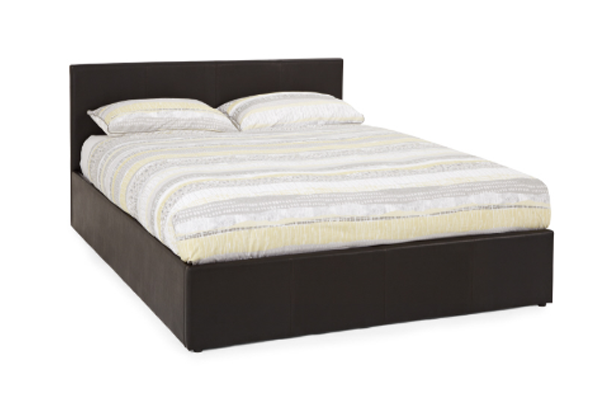 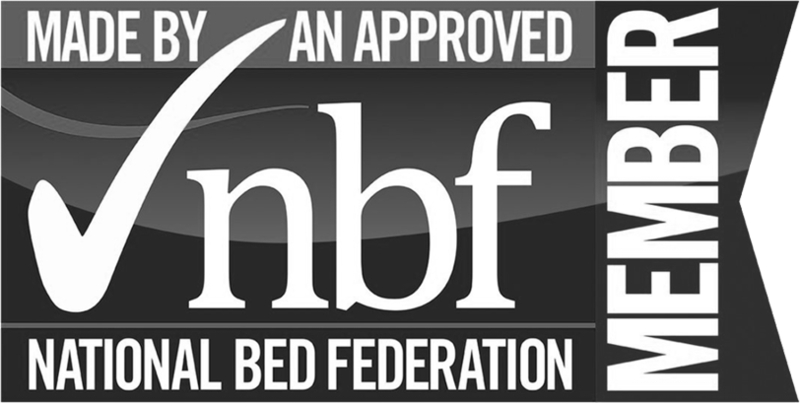 At the Bed Centre Grimsby our ottoman beds are available in faux leather or upholstered, fabric and finished in a variety of colours. 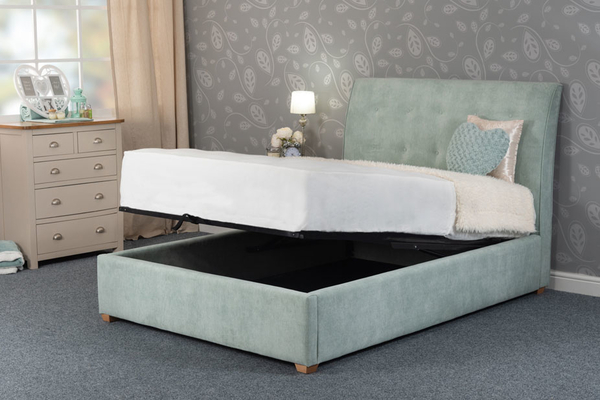 The Tivoli Ottoman is a variation on the popular Tivoli bedstead and is presented in a choice of black, brown and white soft faux fabric.